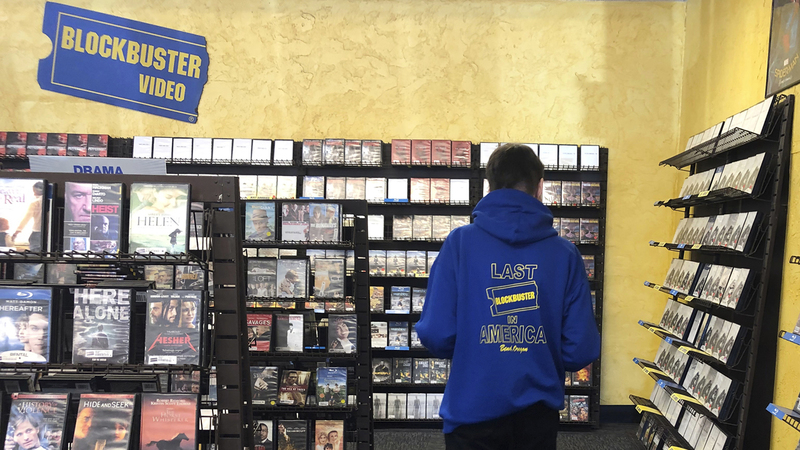 A store that used to be proudly "The Last Blockbuster in America" is now "The Last Blockbuster on the Planet"
Employee Ryan Larrew reshelves movies that have been returned to the last Blockbuster store on the planet in Bend, Ore., in this Tuesday, March 12, 2019 photo. Larrew's sweatshirt advertises the store as the last one in America, but the store has ordered new sweatshirts and T-shirts saying it is the last Blockbuster on the planet. When a Blockbuster in Perth, Australia, shuts its doors for the last time on March 31, the store in Bend, Ore., will be the only one left on Earth, and most likely in the universe.